People want to feel good about themselves and people want others to feel good about them. We all want to be liked. We all want people to feel good about us. And right now people are searching for happiness – how to be happy with ourselves, the people around us, our jobs, and our lives! Think about it. If I asked you the question, “Are you happy?” what is the immediate response? What would you say? What thoughts come to mind? What are your emotions like –are you happy, sad, have any thoughts of regret? Instead of taking a trip down the rabbit hole, how about discovering practical ways that result in a sense of feeling better – feeling better about you and being happy. There are many ways people can begin developing a better sense of self and increasing happiness. One of easiest and most effective ways to begin feeling better about you is through mindfully dressing. What’s mindfully dressing? Mindfulness means awareness. 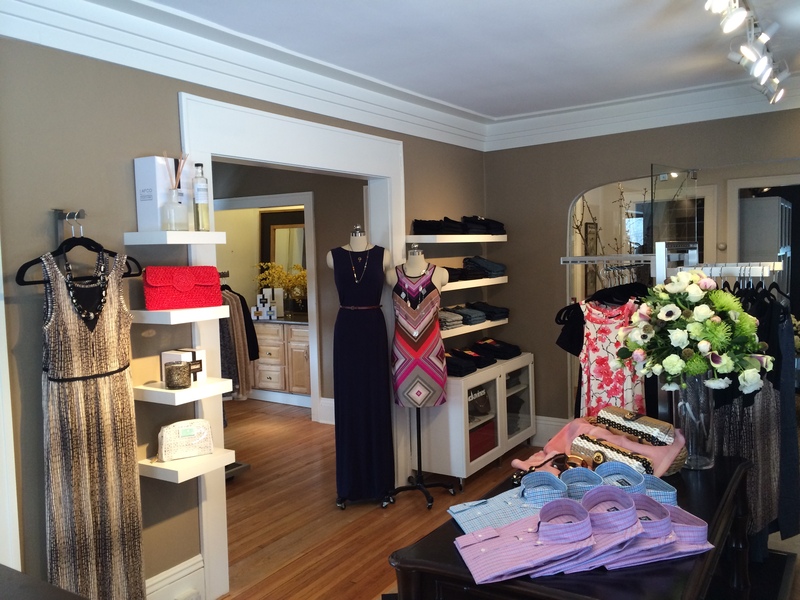 Dressing includes our clothes, hair, accessories, shoes, makeup, glasses, and grooming. Mindfully dressing is a process of using awareness when dressing; to dress oneself while being mindful (Do I have time, what am I doing); fully present (Are my thoughts wandering, am I distracted, am I focused), fully aware (what is going on today, how am I feeling) fully accountable and responsible (being 100% responsible and accountable is key. Regardless of the information or what someone tells me, all decisions are mine and I own them – choices, decisions, consequences – everything – 100%; it’s not about the guy/gal who convinced me to buy – it was my choice. Be all in – 100%). This blog is about helping people feel good about themselves thorough mindfully dressing – to walk out the door and it feels right. First, to me (this is most important). And second, to others around me. Questions we can ask ourselves when looking in the mirror are: What does my outfit say? What does my outfit say about me? Does it say what I want it to say? What does my outfit say to others? Again, does it say to others what I want to say? Note: All of this work begins with the self. First. It’s not externally and then projected back toward the self. It’s first with you and then everyone else. Just like on an airplane – assist yourself first before assisting others. This is not about narcissism. It’s about developing you for you; for your happiness. A commitment to self; to feel good about you and then secondly, how your I-feel-good-about-me happiness is projected outwardly toward others. What solutions are available for me – What do I choose. While most information shares what to do like to get perfect hair, go to a blow dry bar and have a professional blow out your hair, this solution, unfortunately, is not a long-lasting solution; it’s a temporary fix. And the work we do at Mindful Effect is not about temporary fixes – it’s about long-lasting, self sufficient, happiness. Having a professional share and teach you how to do this yourself is what you’re looking for. But if they do that, then you will be creating a blow out look all on your in the convenience of your home, saving money – and you won’t need to revisit their blow dry bar and continue to spend money with them, right? Yup, that’s blunt, real, and true. So what are our options? Remember, there are always options. Not all professionals have this business philosophy. For some, it’s about the education, sharing knowledge, and getting pleasure to see clients become self sufficient. We do this at Mindful Effect and I had the honor and pleasure to interview 4 fashion and beauty professionals for this blog who hold the same philosophy. Each of these folks is recognized in their industry for their skill, professionalism, innovation, and continued commitment to helping people look and feel their best. They’ve each shared the how-tos that we crave to look our best and feel good about us. Let go of indoctrinated “rules” of fashion – let them go out the window. Your wardrobe grows with you..everything is changing. You do and so will your wardrobe. Use awareness. Make sure to only shop when you’re ready to shop. Don’t shop when you’re feeling bloated, low self-esteem day, or a bad day. Do go shopping when you have time, are feeling great, and having a rockin’ awesome day. Keep the notebook handy and regardless of an opinion from a store “stylist,” shop in confidence knowing you know what’s right for you. We’ve all experienced store “stylists” and sales associates that will say, “Oh, that looks fabulous on you!” when you yourself says, “Oh, this is awful.” Yup, it’s happened to me, but not since meeting with Grant. Grant’s final piece of how-to advice is allowing yourself the service of a teacher, a professional stylist, because you are a VIP. The goal is to look fantastic, feel confident, and look at yourself in a mirror and say, “I am pretty!” Who doesn’t want to be pretty? Patric inspires people to go beyond looking and feeling pretty with believing you are pretty. Know your comfort zone and understand “why” this is your comfort zone. Basically, this is all about roots. Where things were learned, where things come from, who told this to you, and why you believe this zone to be the comfort zone. For example, did someone once tell you that twin sets should be your go to? Are over-sized pieces used to really hide your body? Do you loathe yellow because your mom once told you she hated that yellow t-shirt that you secretly loved and now you never wear yellow? Know what your comfort zone is, the understanding of why this is your zone, identify its roots, and ask yourself these questions: What would be out of my comfort zone? What within that zone would I try on and have a Green-Eggs-And-Ham moment of “I do! I do! I do like _______(this animal print, those red pumps, this jacket that hugs my curves…)! Harmony of an outfit is when nothing in particular stands out. If something glares out, then the outfit is off balance. This could be a hem needs to be shorter or to move a button. The prep of finding an outfit is 80%, ensuring its harmony is the remaining 20%..and that 20% is important but is often overlooked or skipped all together. Patric’s final piece of how-to advice is when in a fitting room, try on clothes facing away from the mirror. Once everything is put on, then turn around to face the mirror. The moment you turn your head…that’s when it all happens…you look pretty, feel pretty, your body stands a bit taller…and you say, “I LOVE THIS!” That’s the wardrobe to build. Identify your starting point and stick to that starting point when building a wardrobe. Is it to build a wardrobe around a handbag, a dress that I can wear multiple ways, or tailored fit jacket. Find the starting point, then add and build. Prepare. Prepare. Prepare! Before shopping, prepare a few key bullet points about yourself; things you’re willing to share about you and your lifestyle. Then when shopping and when an associate asks to help you, you can share these key points with them. These snippets of “getting to know you” will help the associate find pieces compatible with who you are and your lifestyle. Ways to have your wardrobe scream “success” vs. “regret” is to have great key pieces. For example, find the denim that fits you well, you feel great in, and absolutely love. It might mean getting the waist taken in or the hem shortened but it will be worth it. Other key pieces: great denim, a fabulous jacket, well fitted black dress, and a great handbag. People get into trouble when buying the whole mannequin and then they get home, think “I just spent all of this money but I don’t know what to do with it.” Remember the key pieces: great denim, a fabulous jacket, well fitted black dress, and a great handbag. Start with those and build out. Invest in quality. “That’s how I buy for the boutique and how I shop personally,” says Diane. Buy great pieces that your budget allows; these are items that will carry you for 10 years. Yes, it’s an initial investment and you are your greatest asset. People need to start believing they are a VIP and invest in themselves. By buying quality, whether it’s at the end of a season to wear next season – it is spending money wisely and investing in you. Shop small. By shopping at boutiques you’ll have the opportunity to build a relationship (hopefully, a long term relationship) with the boutique’s buyer, owners, and associates. The more people get to know you, your lifestyle, likes/dislikes, and you get to know them, the levels of comfort and trust increases. It’s like the Cheers Effect – you shop where everyone knows your name….and knows you. Copying fashion magazines. Says Diane, “Fashion magazine outfits don’t work in real life. Know who you are because it’s all about you. It’s not about the airbrushed-photo shopped fashion picture. It’s about you.” Be comfortable with who you are, what you want your clothes to say, and everything else will follow. Your audience will take notice. Diane’s final piece of how-to advice is get the best bang for your buck by buying one quality piece you can wear with 10 different outfits. Know who you are: What is your face shape, skin tone, hair type (is it curly, wavy, straight), and be honest about your lifestyle (do you have a lot of time in the morning to style your hair or do you have 5 minutes and you’re done kind of person), do you need a “work” style and then another style that reflects the “off of work” you? By beginning with knowing who you are you’ll be able to share this information with a professional stylist who can custom create a color and look compatible for you and your lifestyle. Ask questions. They’re the professional and let them be creative. Ask questions about colors that would compliment you and your lifestyle, styles that would be ideal, heck – go all out and ask which colors and styles wouldn’t be ideal – then you’ll know. And ask why questions – why this would or would not be ideal. Then listen. Stop talking and listen. Listen to their advice. Take notes of their education – they’re sharing with you. Be mindful. Mindfulness means awareness and building trust with a professional while being mindful of yourself will create a style that is representative of your authentic self. Know that everyone struggles with something and there are people who can provide help for us to be our best – to build confidence – to portray our best selves. A custom colorist and stylist can create an experience that is comfortable, without pressure, provide the best advice and education (let me teach you how to style your hair so you can do it at home), and create a look that represents the true you. Justine’s final pieces of how-to advice is don’t choose a style worn by your favorite star, don’t’ use a style or color as a veil and mask to hide, and most importantly, make a connection with a custom colorist and stylist who can create a custom design just for you that shows off your best features and projects confidence. I hope that you will mindfully dress, that you will find your Grant, Patric, Diane, and Justine, that you will create a wardrobe and wear a hair color and style that you love and that screams confidence, success, and happiness, and that you feel great about you! The mic and floor is all yours. What else would you include? What’s the one take away you are going to use? Leave a comment below and share your thoughts and insights.